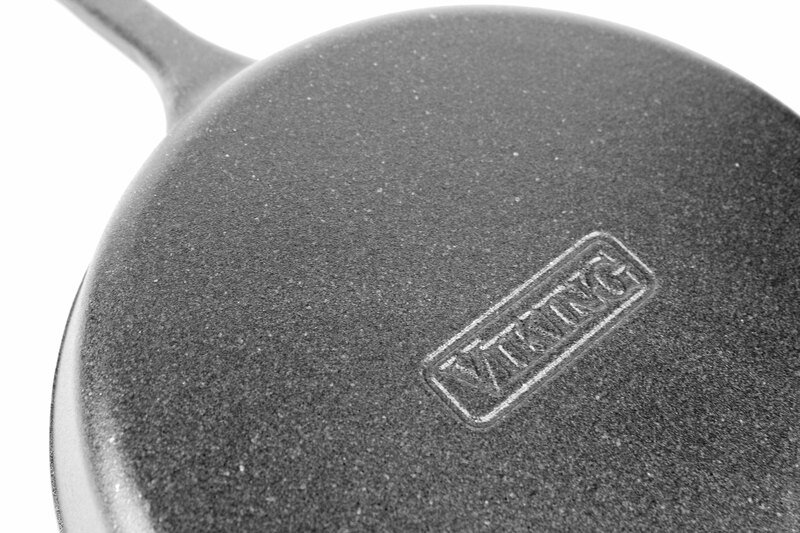 The Viking Cast Iron Skillet with Helper Handle releases foods effortlessly, essential for creating tender omelettes and delicate sauces. 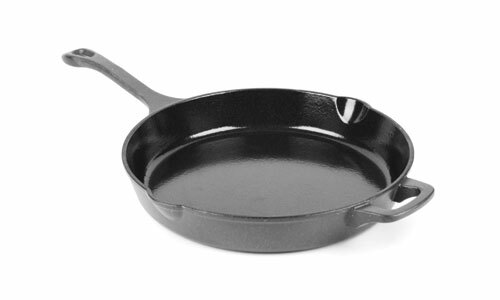 Features a flat, heavy bottom with a wide surface to provide even heat. The sloped sides are designed for easy tossing and rolling. 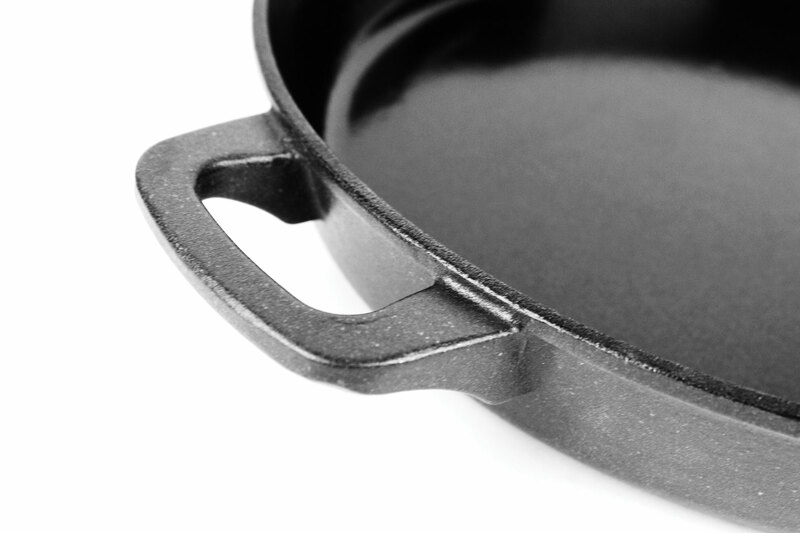 Viking Cast Iron is a natural addition to the Viking kitchen, maximizing the performance of Viking stoves by providing the natural heat retention required for roasting, braising, searing and more. Designed for efficiency, most cooking can be done on low to medium heat. 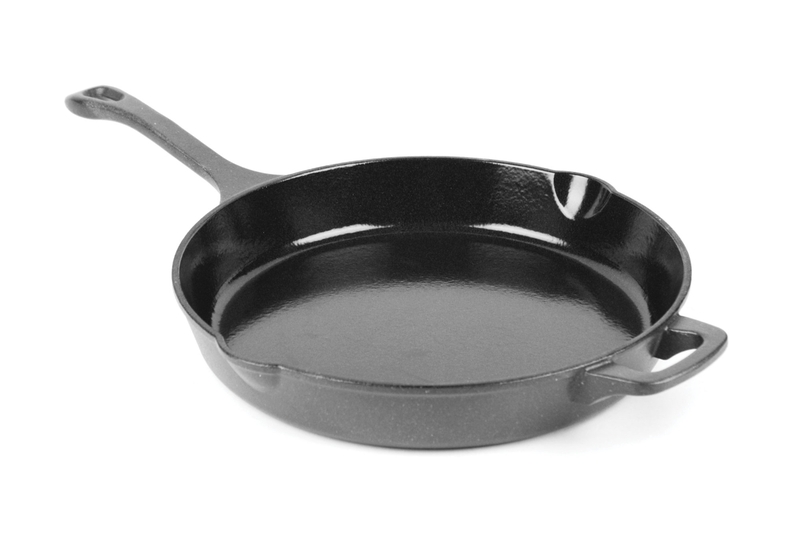 Viking cast iron will distribute and retain the heat evenly, allowing the pan to reach and maintain ideal cooking temperatures with lower energy requirements. 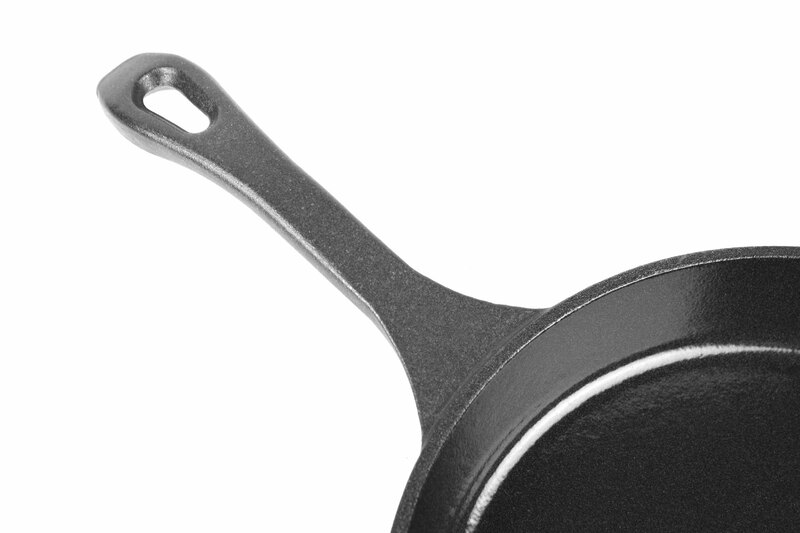 Conversely, cast iron holds cold temperatures equally well for food storage and serving or preparing cold recipes. 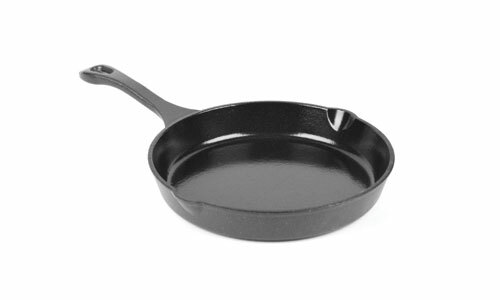 Viking cast iron features a non-reactive glossy enamel interior that is durable enough to handle metal utensils but will not react with foods, maintaining the flavor during cooking. While enamel is not a nonstick surface, the enamel coating does feature stick-resistant properties aiding in cleanup. The exterior of each piece is coated with matte enamel that helps resist chips and cracks while keeping maintenance to a minimum. 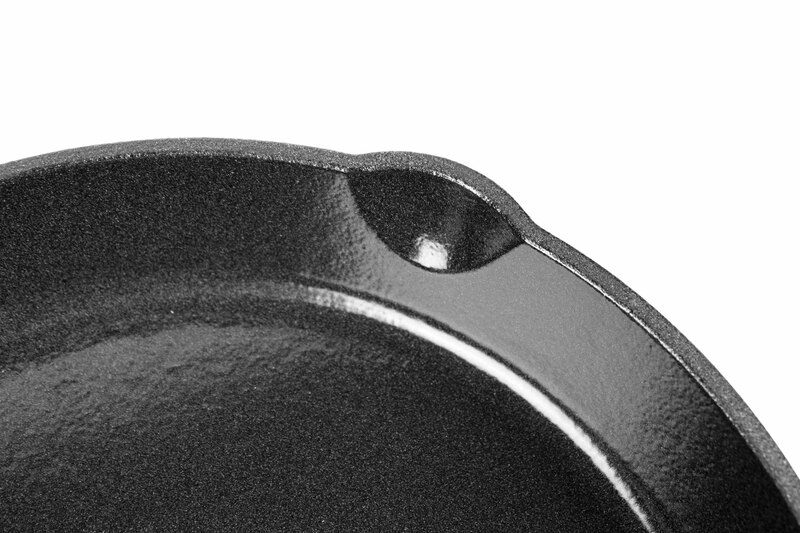 Viking Cast Iron is safe for use on the stove, the grill, and in the oven, while being elegant enough to take directly to the table for serving. Viking Cast Iron features a non-reactive glossy enamel interior and a matte enamel exterior to keep maintenance to a minimum.